There are many things that you expect to come across on a golf tour to South-West Ireland from breathtaking scenery to an abundance of Irish pubs. Movie Stars, however, are not usually one of those things. 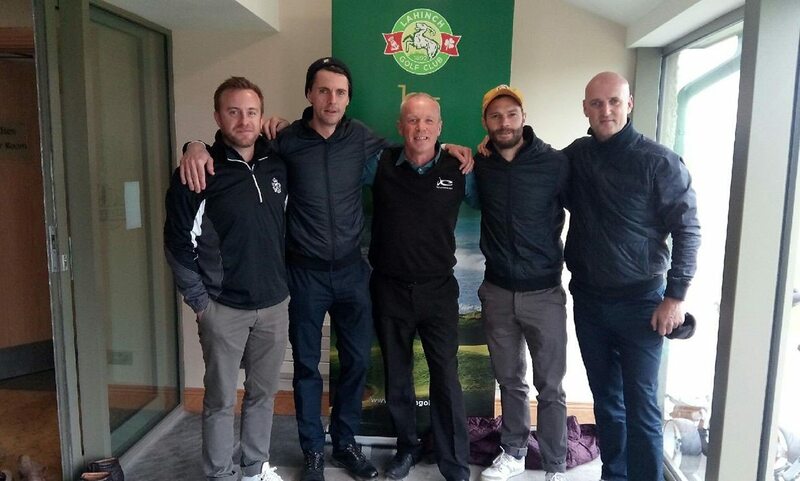 Last weekend, we were delighted to host Jamie Dornan, Matthew Good and Michael Rodgers on their golf tour to Ireland’s South West Coast. Jamie, who recently starred in the box-office hit 50-Shades Darker played golf in 3 of Ireland’s top golf courses, Lahinch, Dromoland & Trump Doonbeg. We’re looking forward to welcoming the lads back in the future to tour even more of Ireland’s Wild Atlantic Way. To experience what the south-west has to offer and possibly run into a few movie stars along the way (No promises! ), check out our golf tour packages or contact us at reservations@swinggolfireland.com. Would you like SWING news and offers?